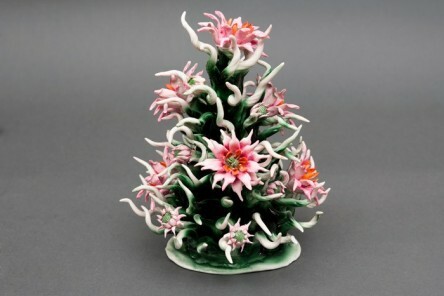 Gorgeous Bush Centerpiece of Pink Anemones in Capodimonte porcelain finely worked. 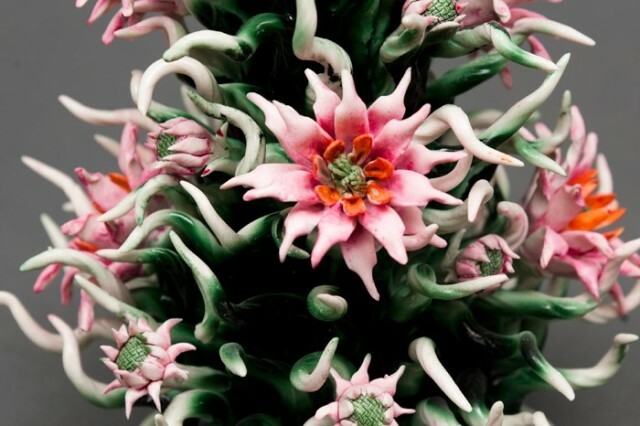 Each individual flower is entirely handmade by the artist, and reproduced in every detail. This is then subsequently grafted into a very original and unique bush worked in coral-style, which is also entirely handmade.